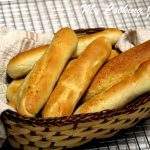 Garlic bread is something that my whole family enjoys, especially my boys. Any Italian restaurant we go to eat, the first thing they would wait for is the garlic bread. 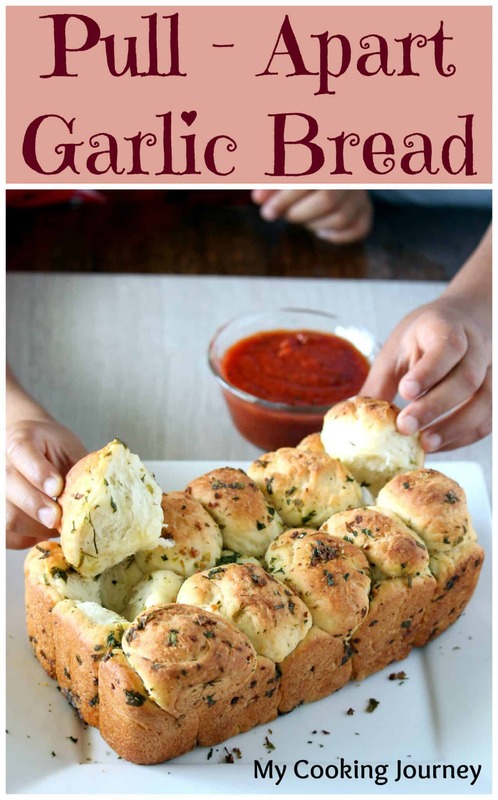 In fact they fill up their stomach with garlic bread and then struggle to finish their dinner. 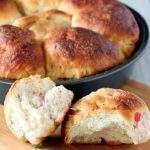 Pull apart breads are the best way to eat bread as snack. 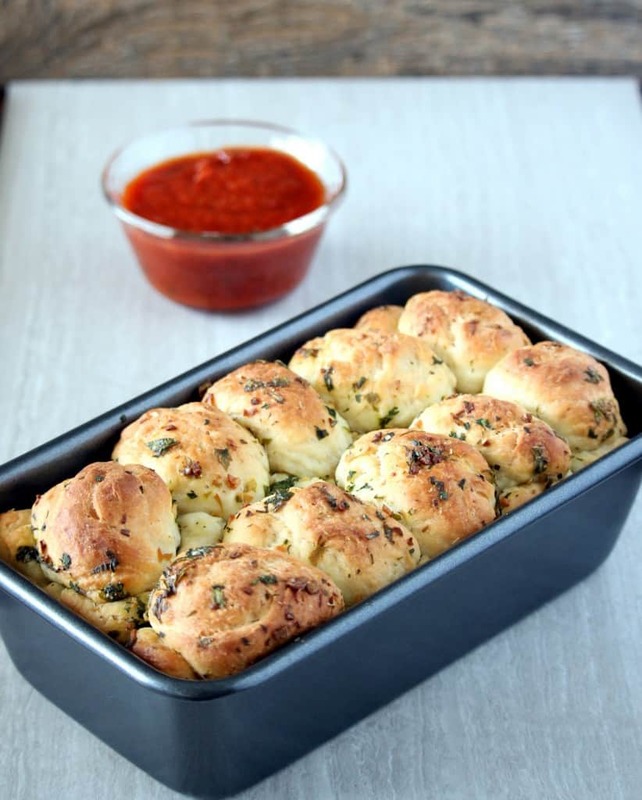 I have made this Herb and Cheese pull-apart bread before and we all enjoyed it. With kids at home for summer, they are hungry for ever. Evenings are when they are hunting all around the house looking for something to snack on. I am trying to make something at least twice or thrice a week that they like for evening snack. 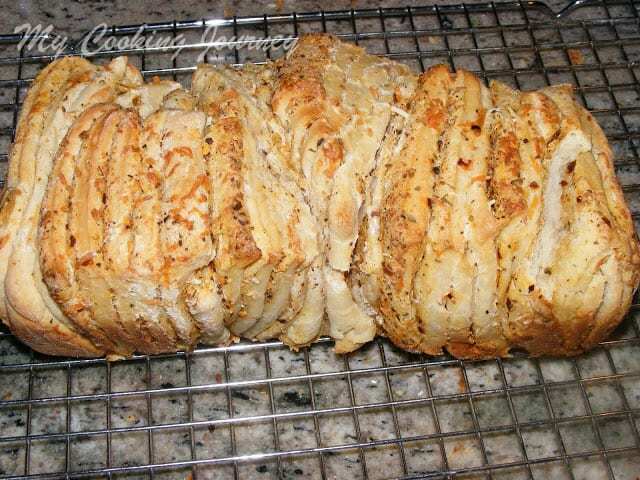 This garlic pull apart bread was something that my older son asked me to make this week. I was looking forward to make this bread for quite some time and the theme for this week was perfect. 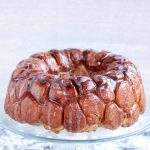 This week I will be doing pull apart breads for blogging marathon and this is the first bread that I chose for this theme. 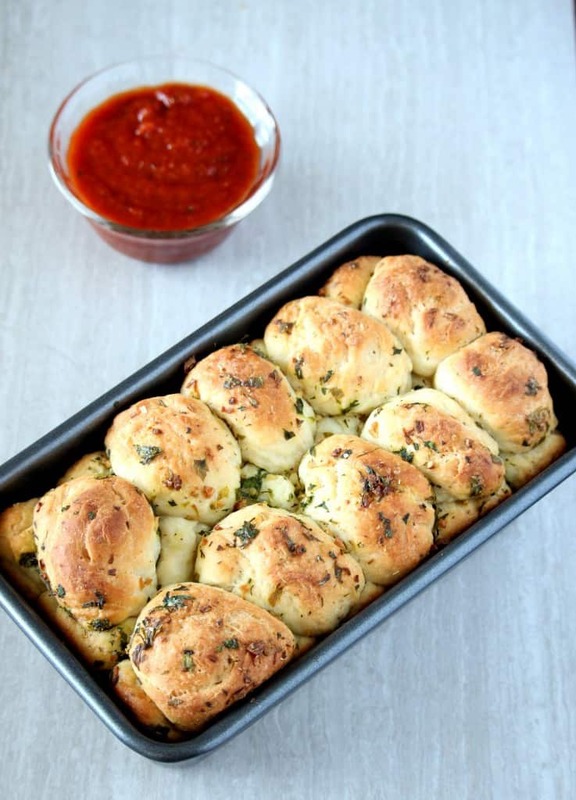 The recipe for this pull apart bread is very simple and I just used basic bread dough to make this delicious garlic flavored bread. 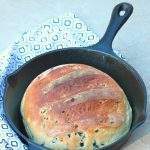 I used a standard loaf pan to make this bread. I had some fresh parsley in the fridge and I used fresh ones to make the garlic bread topping. 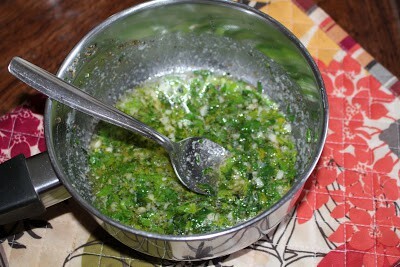 The fresh parsley can be replaced by 1 tbsp of dried parsley. I used my stand mixer to make the dough. Add the warm water to the bowl of the mixer and sprinkle the yeast and the sugar. Gently mix and let the mixture bubble up and proof for about 5 to 8 minutes. Make sure that the water is warm and not too hot or cold. 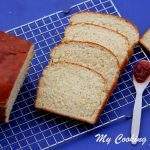 Once the yeast is proofed, add the warm milk, salt and softened butter and mix. 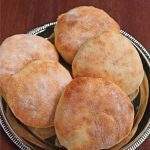 Add the bread flour, about a cup at a time. 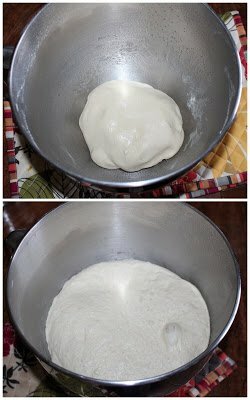 I needed a little more than 2 ½ cups to make soft dough. You might need anywhere from 2 ½ to cups of flour. Knead the dough for about 7 to 8 minutes until it passes the window pane test. The dough should be slightly sticky but very soft. 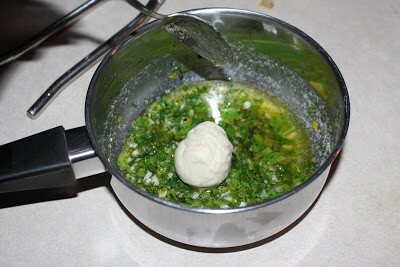 Place the dough into a greased bowl and let it rise in a warm place until double in volume. Mine took about 1 ½ hours to double. 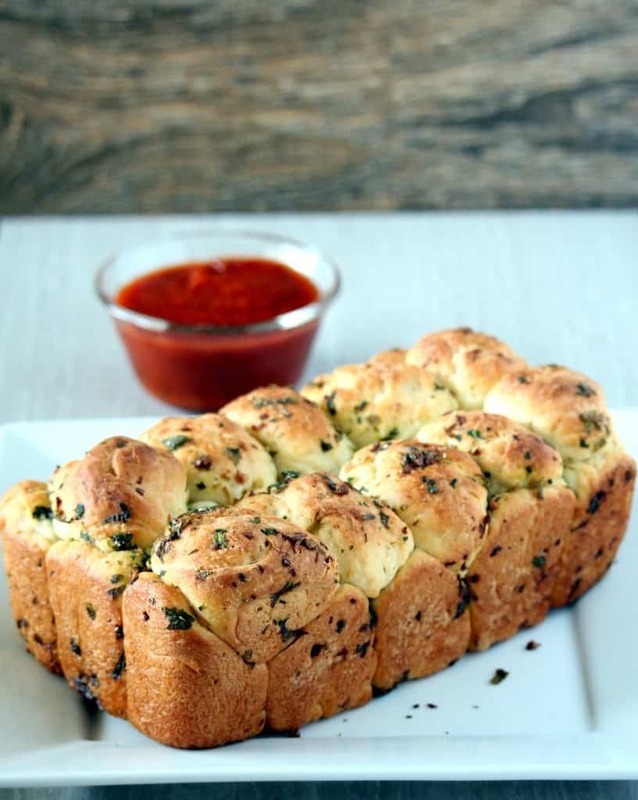 When the dough is rising, make the garlic topping. Melt the butter and then add the rest of the ingredients to the melted butter. 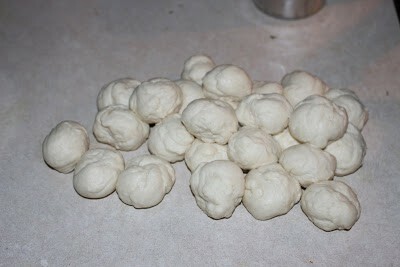 Once the dough has doubled in volume, pinch out small 1 inch balls. I got about 24 balls from the dough. 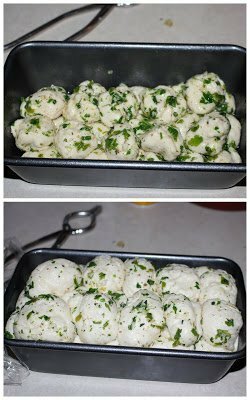 Dip the balls in the garlic butter and then place them in layers in a greased loaf pan. 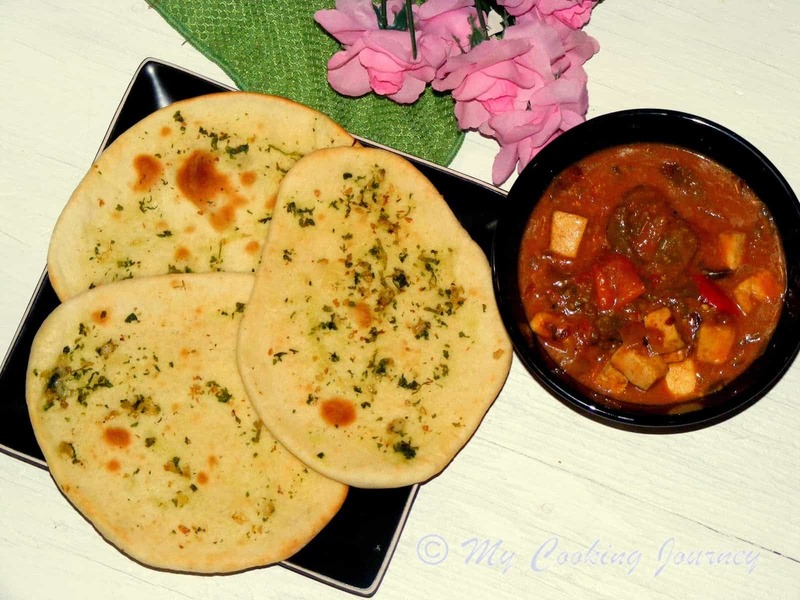 Cover the pan and let the dough rise for the second time. It took about 45 minutes for me to double the volume of the dough. 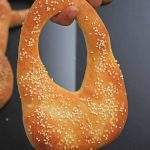 Preheat the oven to 350 F and then bake the bread for about 30 minutes or until it is golden brown on top and sounds hollow. 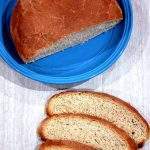 Remove the pan and let the bread rest in the pan for about 10 minutes. 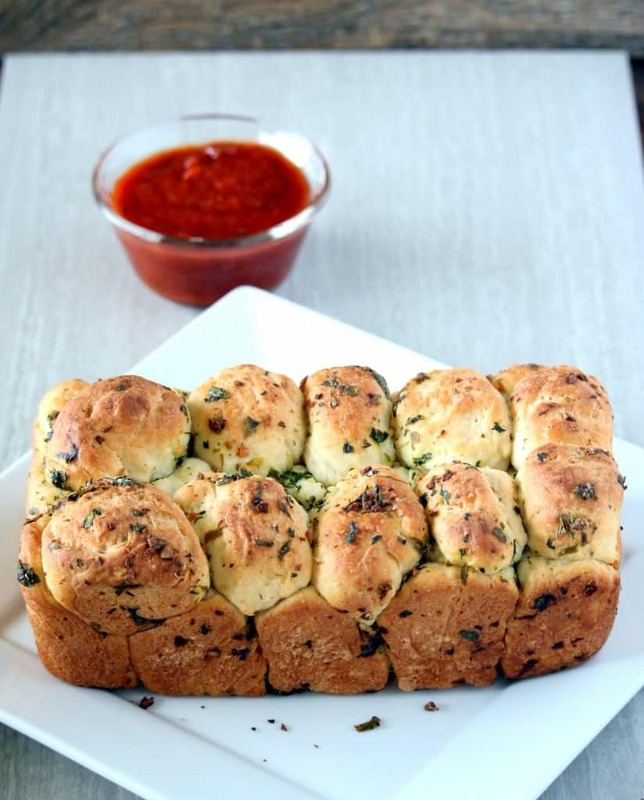 Remove the bread from the pan and start pulling it apart and enjoy with some marinara sauce on the side.